Cesar Franck's passionate and sunny Violin Sonata has long been regarded as one of the greatest in the repertoire, and is the work of a composer at the height of his powers. Richard Strauss's Violin Sonata, composed a year after Franck's in 1887, is the work of a young composer on the cusp of discovering his mature voice; lyrical and sumptuous, it has all the hallmarks of his later style. 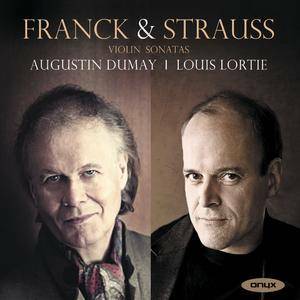 Performed here by distinguished violinist and conductor Augustin Dumay and French-Canadian pianist Louis Lortie, this recording marks the duo's recording debut. In addition to the sonatas, this album includes two Franck rarities - Melancolie and the Prelude, Fugue and Variation Op.18 for organ, heard here in an arrangement by Dumay and Lortie. The recording concludes with the wonderful Heifetz arrangement of Strauss's song Auf stillem Waldespfad. 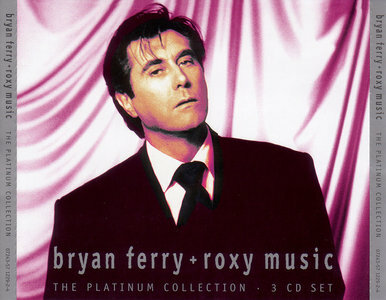 The first Ferry and Roxy collection to include Bryan's most recent work alongside such group and solo masterpieces as Virginia Plain; Street Life; Love Is the Drug; Avalon; More Than This; A Hard Rain's Gonna Fall; Both Ends Burning; Smoke Gets in Your Eyes; Angel Eyes; Over You; The Same Old Scene; Let's Stick Together (Let's Work Together); Sign of the Times, and more. 45 tracks from the most debonair (and complex) singer in rock. These rare treasures take you all across Billie's career-from '35, the year she debuted at the Apollo and first charted, to '59, the year she died. 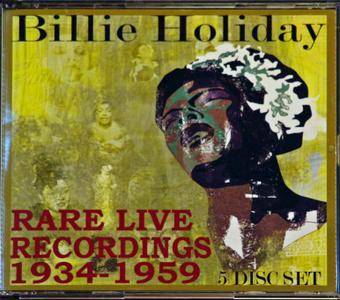 The stunning early performances include a 20-year-old Billie with Ellington in '35 and a 1937 radio broadcast from the Savoy Hotel in NY with the Basie Orchestra; you'll also hear rare rehearsal tapes, her Monterey '58 performance, songs on The Eddie Condon Show, The Tonight Show, The Steve Allen Show, an impromptu recording of Billie and friends singing My Yiddish Mamma, and more with Art Tatum, Lionel Hampton, Johnny Hodges, Lester Young, Coleman Hawkins and more! 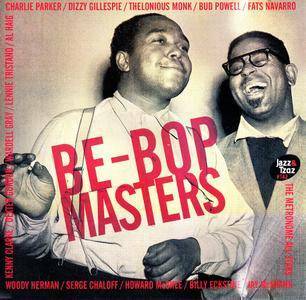 Includes 129 tracks: Swing Brother Swing; Fine and Mellow; I'll Get By; Billie's Blues; All of Me; Lover Man; Them There Eyes; You're My Thrill; I Cover the Waterfront; Porgy; Tenderly; God Bless the Child; My Man; Moanin' Low; Ghost of a Chance, and more. After titanic contributions to the cello sonata repertoire by Ludwig van Beethoven, few notable additions were made for several decades. Not until 1862 did the cello sonata re-emerge in the hands of Johannes Brahms. His peculiar First Sonata contains only three movements (the Adagio having been omitted for fear of the sonata being too lengthy) and a finale that all but defies formal analysis. Almost a quarter century passed before Brahms again returned to the cello sonata, this time in the key of F major. 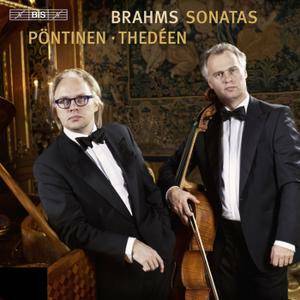 The second sonata is considerably more challenging for cellists and Brahms' treatment of the instrument is not the exclusively lyrical, sonorous melodies that one might expect. Rather, Brahms incorporates lots of rhythmic, motivic playing and pizzicato passages and rapid bariolage. A "third" cello sonata, which has become increasingly popular in recent years, is Paul Klengel's (whose cello-playing father was much admired by Brahms) transcription of the G major Violin Sonata. Bonnie Raitt enjoyed critical success and blues/folk credentials with her self-titled debut, Give It Up, and Takin' My Time. 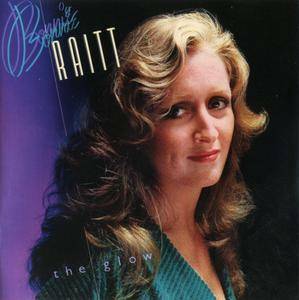 By 1975, Raitt's style began to be defined by producer Paul Rothchild. Home Plate and Sweet Forgiveness were uncomfortable overtures to commercial propositions where Raitt's persona and sense of fun got lost. Produced by Peter Asher, The Glow was released in 1979 and includes great players like Danny Kortchmar, Bill Payne, and Waddy Wachtel. During this time, sales might have been a consideration as well as Raitt's tough image. If anything, Asher accentuated Raitt's rough edges and provided his customary production polish. Like many Asher productions of the period, The Glow gets its strength from its covers. Raitt takes on "I Thank You," "Your Good Thing (Is About to End)," and "Bye Bye Baby," and struts through them all with ease. "The Boy Can't Help It" doesn't fare as well. Robert Palmer's "You're Gonna Get What's Coming" makes for a great fit. Surprisingly, her take on Jackson Browne's "Sleep's Dark and Silent Gate" doesn't dig as deep as the great original. Ben Sidran first came to public attention as a sideman on one of the early Steve Miller Band albums in the late Sixties. 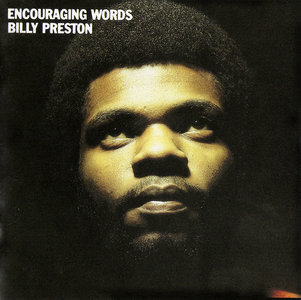 His keyboard stylings and flare suggested a background in jazz/rock fusion. His debut album, "Feel Your Groove" (also available on a Japanese Import CD) included a wealth of celebrated English and American talent including drummer Charlie Watts, but still did not deliver fully what Ben Sidran seemed to promise. This, his second album, was recorded after he resettled in Madison, Wisconsin (a.k.a. "Mad-City," then the Berkeley of the Midwest)and it showcased Ben Sidran's writing and performing in great form. It is quintessential Sidran, with stylings reminiscent but not imitative of his idol Mose Allison, and tunes that have held up extraordinarily well over the past three decades. 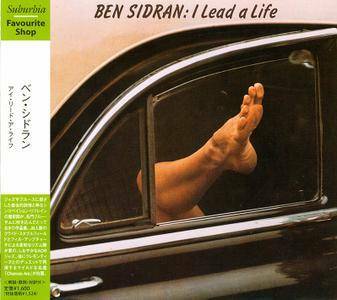 This was Ben Sidran's true break-through LP, although best known to a relatively small group of FM alternative radio fanatics. 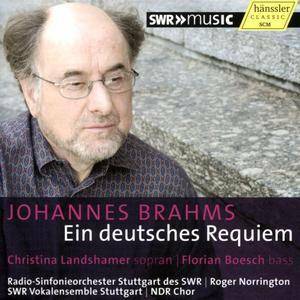 Among the major choral-orchestral works of the 19th century, Sir Roger Norrington and his former Orchestra, the Radio-Sinfonieorchester Stuttgart des SWR, have tackled over the years, now finally comes Brahms' "German Requiem." 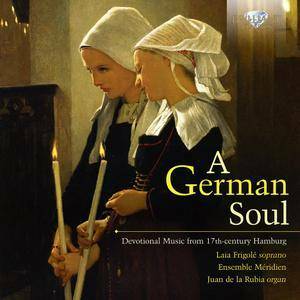 one of the most beautiful and popular sacred music works in the repertoire. Brahms’ contemporaries, including his close friend Clara Schumann were moved with the score and were enthusiastic about it - and it has been a favorite with the general public ever since. Although Biblical texts are used, the piece is not in the standard church-liturgical tradition. It was Brahms‘personal response to "those who mourn"! The central idea of this masterpiece is the reality of human existence. It is precisely this „earthly character“ that Roger Norrington uses to shape his interpretation emphasizing the grave beautify of the music and not religious awe; in this, Norrington draws us close to the composer’s intentions. He is ably supported by soprano soloist Christina Landshamer, basso Florian Boesch, SWR Vokalensemble Stuttgart and the NDR. 1993 digitally remastered domestic U.S. Apple / Capitol CD reissue of the pop-soul legend's 1970 record album produced by George Harrison. Features 15 tracks including 2 George Harrison covers, 'My Sweet Lord' & 'All Things (Must) Pass' & 1 Lennon/McCartney cover, 'I've Got a Feeling', as well as 2 bonus tracks, the previously unreleased 'As Long As I Got My Baby' & 'All That I've Got (I'm Gonna Give It To You)'. 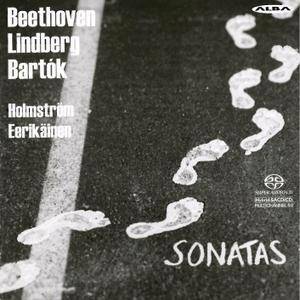 Sonatas includes works by Ludwig van Beethoven, Béla Bartók and Magnus Lindberg performed by pianist Pasi Eerikäinen and violin player Emil Holmström - Beethoven’s titanic Violin Sonata No. 9, Op.47, the Kreutzer Sonata, Hungarian composer Béla Bartók’s Violin Sonata No. 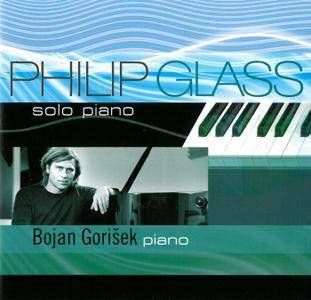 2, one of the most compelling creations of the composer’s avant-garde period. Sonatas, a world premiere on this recording, is a relatively early work by the Finnish Magnus Lindberg. In this work, the composer’s influence all hail from traditional musical traditions – German, French and Italian – though instead of fixating on Baroque or Classical styles, Lindberg takes inspiration from notable 20th-century composers. Pasi Eerikäinen plays first violin with the Finnish Radio Symphony Orchestra. Emil Holmström has a particular interest in the avant garde, be it Ferrucio Busoni, the Second Viennese School or electroacoustic music, which Holmström regularly performs as a member of the defunensemble. 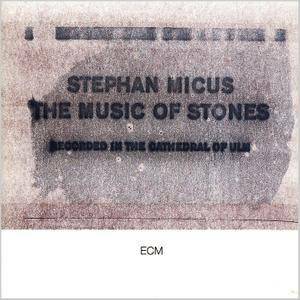 Continuing his musical quest across countries and cultures, Stephan Micus visits the Cathedral of Ulm, where Elmar Daucher has been sculpting and carving rocks of granite, marble, and basalt specifically for their acoustic potential. Such a curiosity, where Micus is involved, usually results in an album. The Music of Stones is indeed a curious and deep meditation – a spotlight on the instruments as much as the music. It follows a formula similar to his album Twilight Fields, where tuned clay pots were the centerpiece. This stylishly devised programme juxtaposes cantatas by Rosenmüller, Krieger and Buxtehude with instrumental chorales and sonatas by Scheidemann, Praetorius, Tunder and Weckmann; most of these now known, if at all widely, as forerunners to Bach rather than as fine musicians in their own right as they deserve to be. During the 17th and 18th centuries, Hamburg became a leading commercial port where material and cultural goods circulated freely. Ensemble Méridien has chosen this city as the focal point of a fascinating musical journey through northern Germany, a journey that reveals different aspects of this artistic power. The port of Hamburg was also the driving force behind the north German organ school of the time. Churches were overflowing with magnificent organs, and their building and playing techniques reached extremely high standards, as is evident from the organ music included here. Though most of the music in this recital has been recorded before, it has only appeared on relatively obscure labels, and not in this imaginative context where one may more fully appreciate its dramatic as well as musical merits. 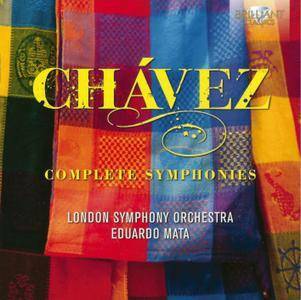 Reissue of a classic, historic and still the best recording of the complete 6 symphonies by Carlos Chávez by the London Symphony Orchestra conducted by Eduardo Mata. Chávez is the most important “classical” composer of his native Mexico. He was the first national composer to embrace the classical symphonic form, infusing it with elements of Mexican folk music and dances: festive, vibrant and exhilarating! Eduardo Mata is a true master in this repertoire, and his recording with the London Symphony Orchestra still sounds as fresh and exciting as in its recording year 1981.